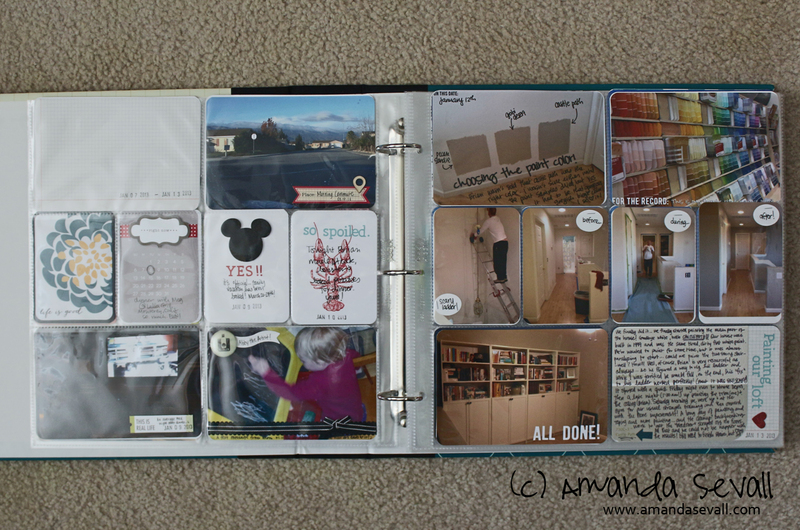 Amanda Sevall Designs: Project Life 2013: Week Two. The home improvement was underway this week.... super busy! 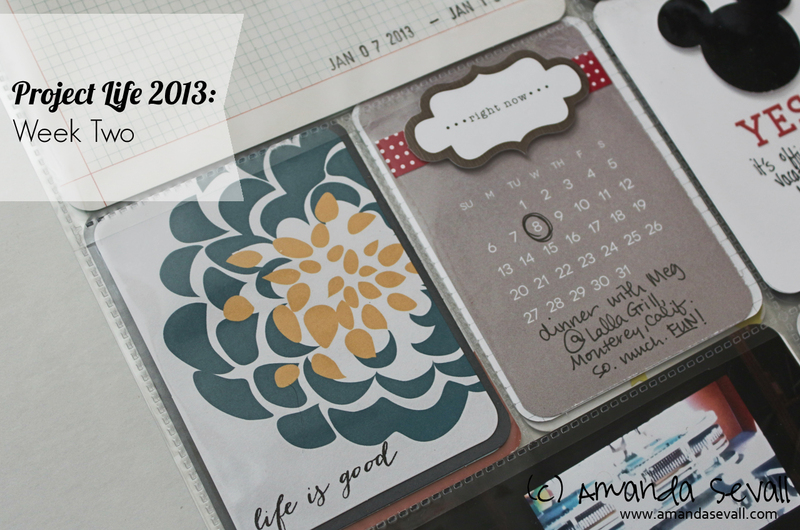 Week of: January 7-13, 2013. What happened this week? Normal, average work week.... that ended in an intense weekend of home improvement. We prepped and painted our loft and upstairs hallway, also got started on our stairway! Anything special about the spread? 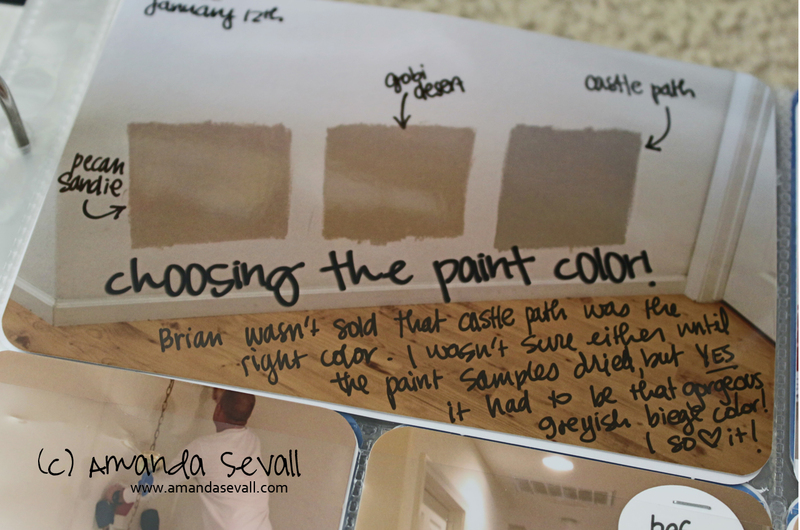 I used the paint chip I picked up from Home Depot when we got the paint as the base for my journaling. I dare say that it's my favorite part of this spread! 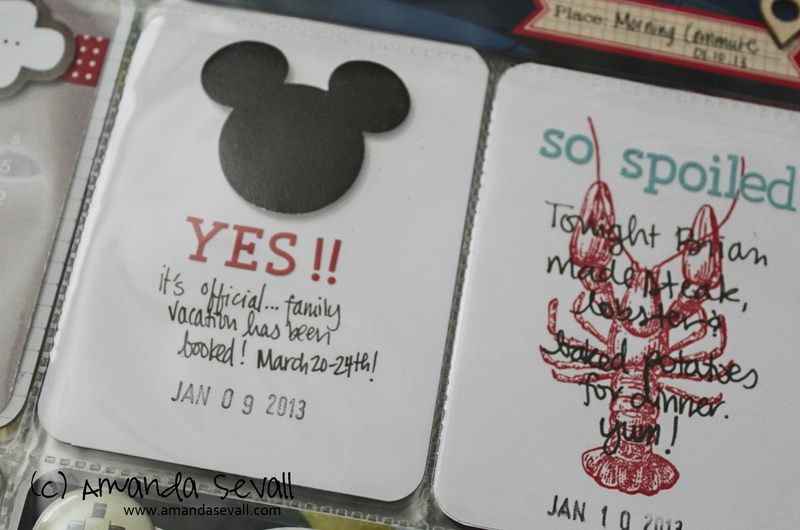 Techniques this week: I created two of my own journaling cards -- one with a black glittered mickey head and the other with my favorite new stamp set By the Tide. Overall thoughts: I love how this week turned out. 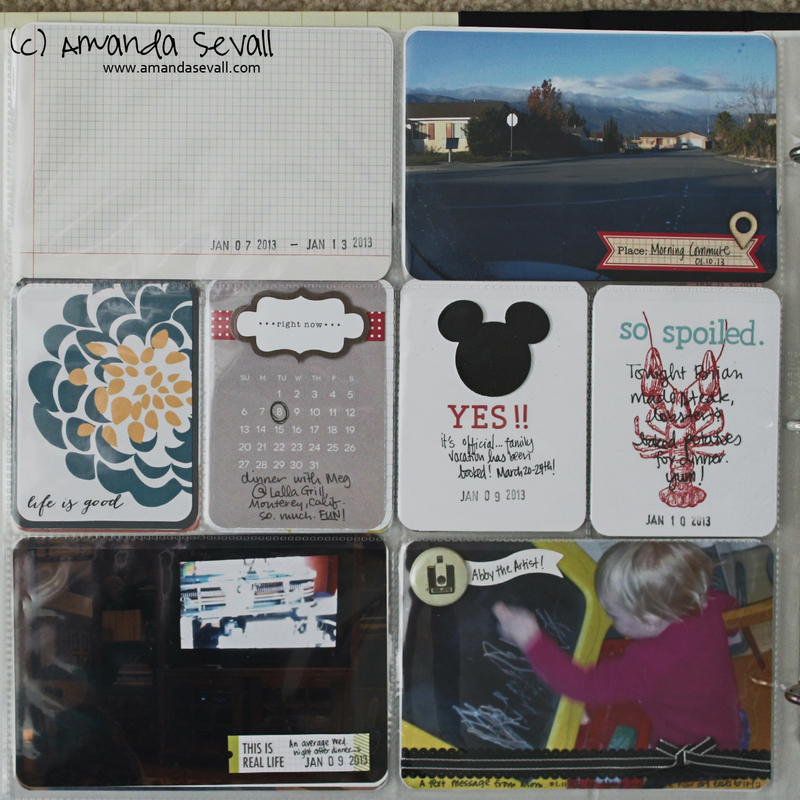 I'm discovering that I'm hooked on using flair and the new wood die cuts. I'm also happy I got brave and wrote right on a photo. I'll definitely be doing more of that! 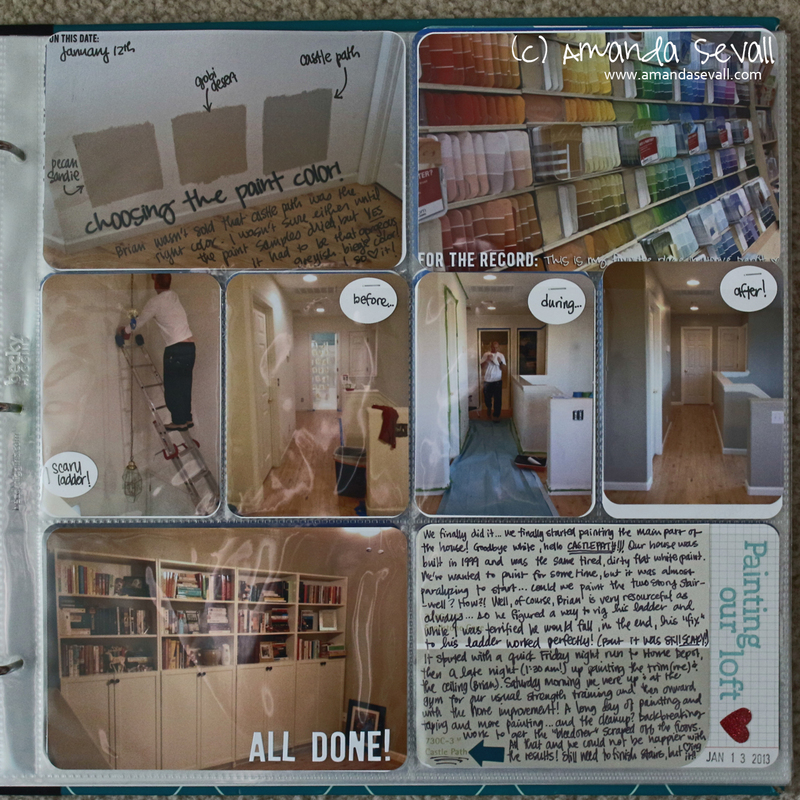 I love the room transformation! I would have chosen Gobi Desert based on the painted squares, but the Castle Path looks GREAT in the after picture. 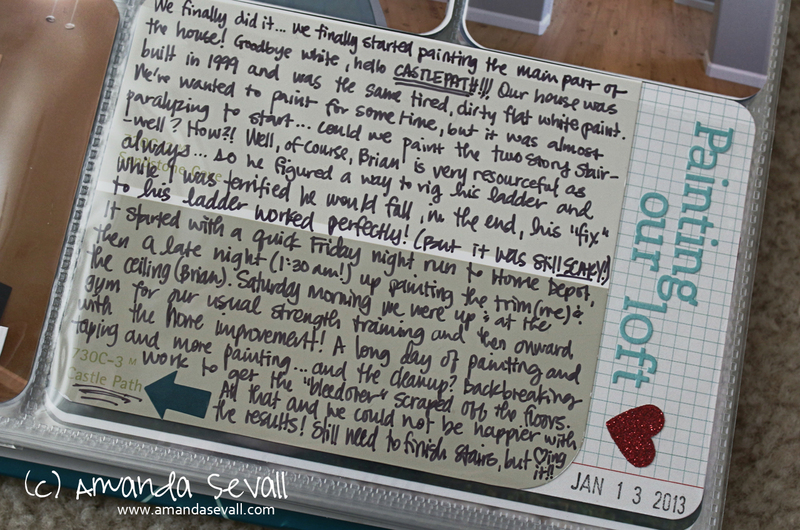 Love that you journaled on the paint chip!